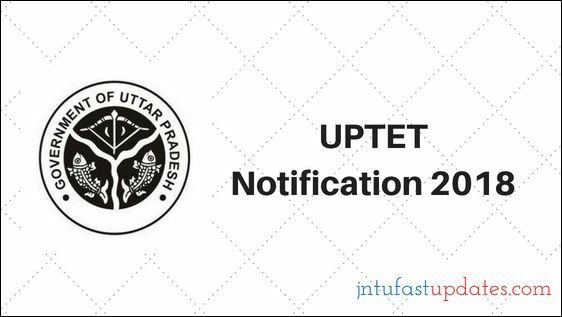 UPTET Application Form Apply Online 2018: Uttar Pradesh Basic Education Board (UPBEB) has released the notification for Teacher Eligibility Test (TET). Aspirants waiting for the UPTET Notification 2018 can apply from 18th September to 4th October 2018. Aspirants can proceed to apply from the UPBEB official Website, upbasiceduboard.gov.in. Candidates can hurry up to apply for the UP Teacher Eligibility Test within the scheduled dates. The UP Basic Education Board is going to conduct the written test on 28th October. Aspirants seeking to apply for UPTET 2018 can check the details such as eligibility criteria, application process, and more information from the following. Uttar Pradesh Basic Education Board is going to conduct the Teacher Eligibility Test (TET) examination in the state of UP. Candidates dreaming to become primary/secondary grade teachers in Government schools of UP has to qualify the TET examination with requisite marks. UPBEB annually releases the TET notification for interested aspirants wishing to become a teacher. This test is mandatory for getting the teaching job in government schools from class 1 to class 8. They are going to be 2 Papers in this exam. Paper 1 meant for teachers who are intended to teach for class 1 to class 5 and Paper 2 is for the teachers who are intended to teach for class 6 to class 8. Candidates willing to apply for UPTET 2018 can visit the UPBEB official website, upbasiceduboard.gov.in for UPTET prospectus and application form. For Primary Level Teacher the applicants must have their Graduation degree with a minimum of 50 percentages of marks with 2 years diploma in special education (D.Ed) or the BTC training from Uttar Pradesh or 4-year diploma in the elementary education. For Upper Primary Level Teacher the applicants must have their Graduation degree with a minimum of 50 percentages of marks with one-year degree in elementary education (B.EL.ED) or BTC training from Uttar Pradesh or 2 years programme in BTC. Candidates applying for UPTET must have a minimum of 18 and a maximum of 35 years. The age relaxation will be applicable as per norms. The selection of the applicants will be done in two phases. The first Phase is the written examination. The candidates who have qualified in this written examination they will further move to the next phase. The candidates those who have qualified for the exam will give a scorecard or the rank card in which the marks are mentioned. This Scorecard or the Rank card is to be valid for the next Phase, Interview. there is some problem to online registration of UPTET 2018, I am facing problem, is there any resolution ?